FAQ - Have an iPhone? DNA -> Co Meath Ireland! We are the oldest and one of the few families in the world to still use the very Irish surname of O'Kelley and our family tradition story and records prove that our ancestor arrived in America before 1750 AD using "O Kelley" as his surname and when we appear as Kelly in some early records it is due to the unfamiliarity of Irish names by the person recording our name and in some cases it might be due to the English efforts that began in the 16th century to intentional suppress Irish surnames. For two and one half centuries in America generations of my family have passed down our name, our story, and records and much survives today. Few have such a rich family history. Few have a signature of their 3rd great grandfather born in 1795 in our National Archives proving the spelling of our surname. Educator and family historian Alethea Jane Macon at the age of 87 published her book "Four O’Kelley Sons and Some of their Descendants – Allied Families" in 1969 resulting in a dispute about the forename of my immigrant ancestor but his surname has never been disputed it has always been claimed that he arrived in America as a Protestant O'Kelley having descended from "Old Irish Kings" and his descendents scattered over many states and all research slow and manual this is understandable that not everyone in my family would be in agreement. The Internet gives me considerable advantage. DNA, records, and tradition stories make it certain this disagreement over my ancestor's forename came from two stories handed down for generations, one naming "Thomas" as our first Protestant Ancestor and the other story naming "James" as our Protestant Ancestor to leave Ireland and come to America before 1750 AD and 200 years and 5 or maybe 6 generations separate these two men but without providing evidence Alethea Jane Macon's book confused Thomas and James into a single ancestor that she believed was named Thomas. It is from a family pedigree create in 1904 and written in the hand of Dr Thomas K O'Kelley and passed down to his great great granddaughter Judith Knowles Ries my 6th cousin that comes the names James O'Kelley and Anna Dean and their first born son the famous Rev James O'Kelly, Charles, Thomas, Elizabeth, Polly Ann, Benjamin, Francis, and George. This great family treasure predates the Alethea Jane Macon Pedigree by more than 60 years but it doesn't stand alone as Mary Evelyn O'Kelley my 4th cousin 1x removed wrote her 1960 college paper about our ancestors and she names our ancestor as James O'Kelley and his six sons that most migrated to Georgia. 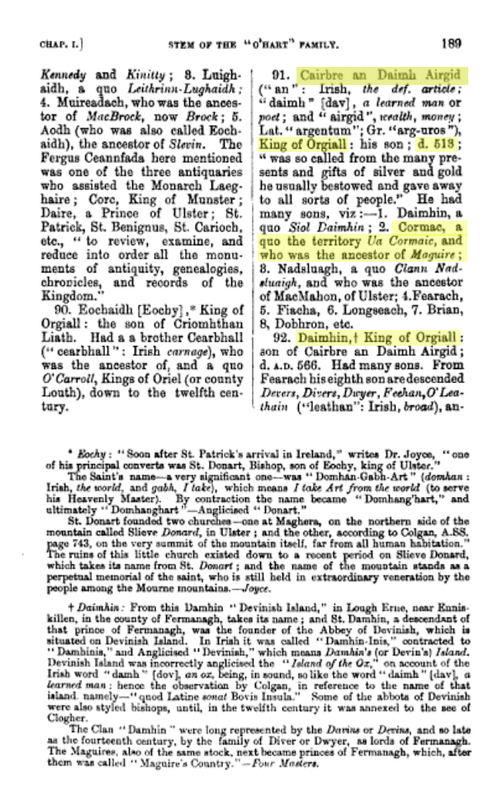 My eight year investigation based in DNA, records, and tradition stories concludes that everyone who is blood related to me MAY have descended from Aed of Slaine a Monarch of Ireland in the 6th Century and it seems certain that my family came from the Kings of Orel who ruled over Clan Kelly in the southern portion of what is today modern Co Fermanagh and my ancestors slowly moved south. 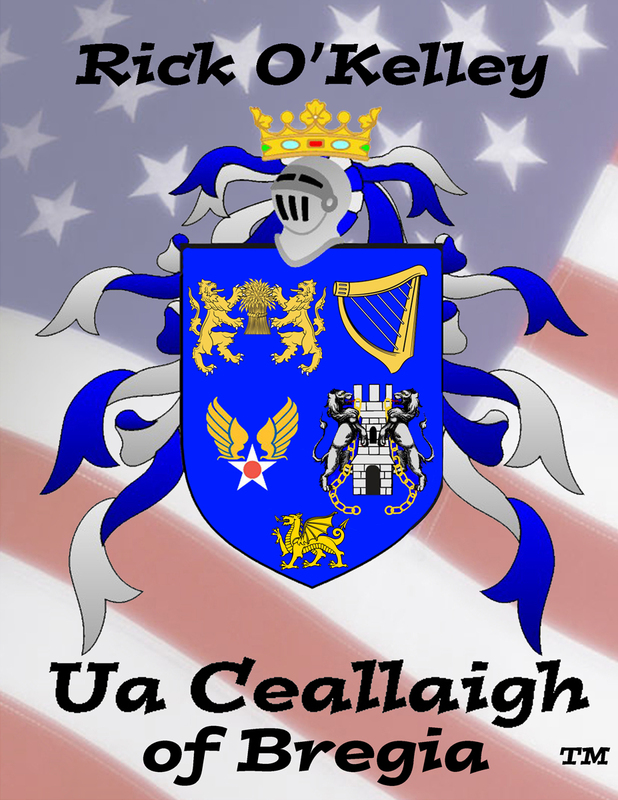 DNA suggest that we are the O'Kelley of Northern Bregia which is pronounced and sometimes appears written as "Brey" and my ancestors lived next to Tara the place for the coronation of the Monarchs of Ireland. 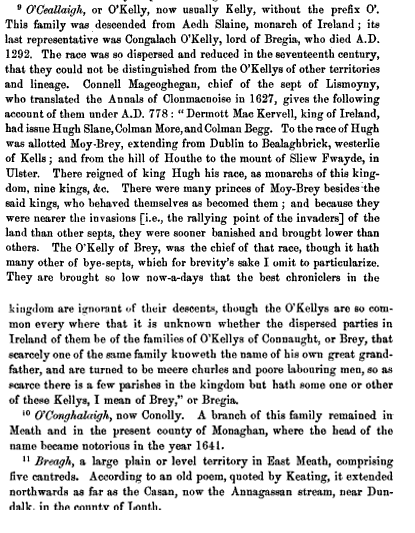 Conglach O'Kelley who died 1292 AD may have been a kinsman and he was the last known "Lord" of Bregia and the English invasion a century before reduced and scattered the O'Kelley of Northern Bregia so low that they were no longer a recognizable Sept when my ancestor left Ireland about 1748. 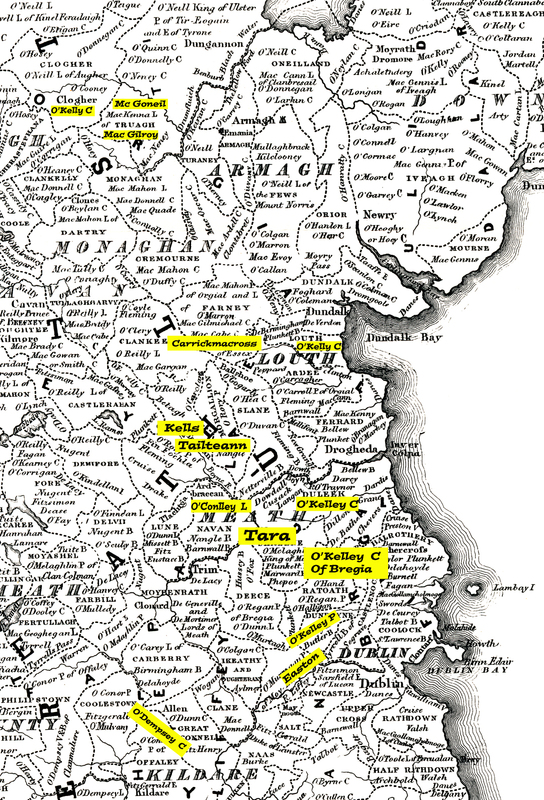 By that time the O'Kellys of Ui Maine confined to Co Roscommon and Galway became the only O'Kellys of prominence in Ireland. DNA indicate that while the O'Kelley of Bregia and the O'Kellys of Ui Maine share a common ancestor, and that ancestor lived about 3000 BC or 4000 years or 5000 years before the O'Kelley surname came into existence so the fact that these two distantly related families both share a common surname is likely because the name Ceallach was popular and in common use when surnames came into fashion. 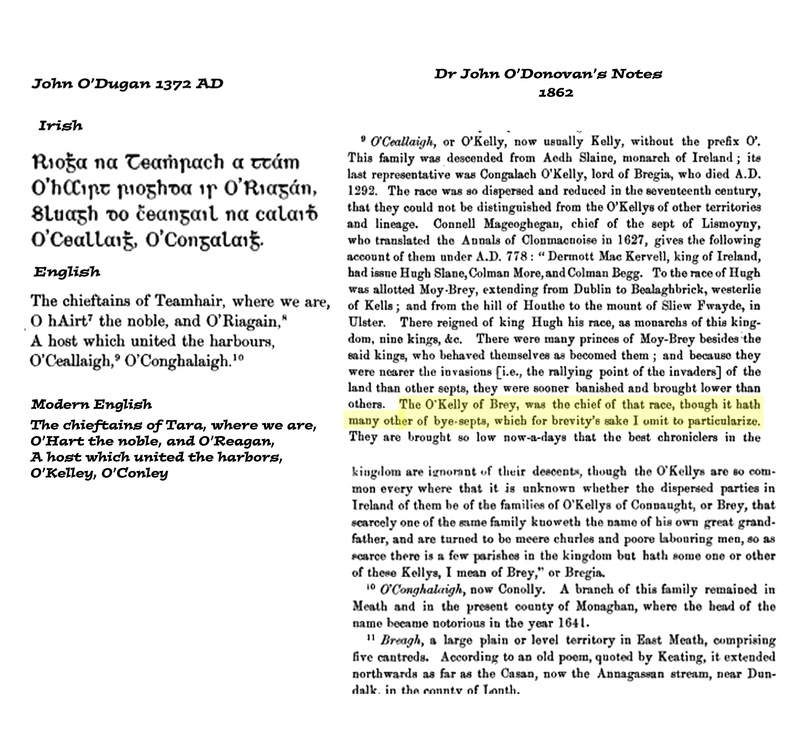 Just as our family tradition claims, research based in DNA and records suggest that our first protestant ancestor was Tomas O Ceallaigh, pronounced "Thomas O'Kelley" and he was a "Gentleman", a man of land and title born in Ireland about 1540 AD and to appease the English he converted to Anglican and took an English styled surname as he appears as Thomas Kelly in the Survey of 1591 with land near Glaslough Co Monaghan Ireland and he might be the son of William Kelly Gentleman Dublin and the Grandson of Thomas Kelly also of Dublin. 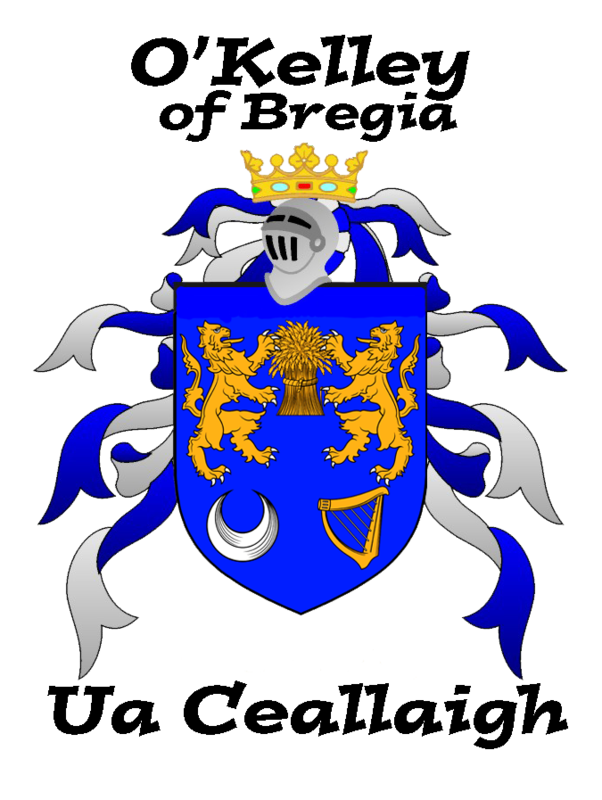 His son William also a Gentleman and Protestant appears in 1640 and again in1641 records in Carrikmacross Co Monaghan and William's son Thomas O Kelly, Gentleman and Protestant is found in the 1663 records in the same place. This Thomas O Kelly's grandson William Kelly, Merchant and Gentleman is found in the Prerogative Wills of Ireland leaving a Will in Kells Co Meath Ireland in 1748 and I believe it was William's death that caused our ancestor James O'Kelley and his wife Nancy "Anna" Dean to leave Kells Co Meath Ireland and settle in the portion of King and Queen County. From Ruth Barton Pullium my 4th cousin 2x removed comes a family tradition story handed down to her father from her grandmother Salina O'Kelley who was the granddaughter of Thomas O'Kelley and her story says that our ancestors were "prominent" and came from Co Meath. When living Ruth orally told the story to some that our ancestor was of the Four Tribes of Tara said to once be "Styled Princes" and DNA matches and research does support this possibility as it seems likely our ancestors came from Clan Kelly and may have descended from the Kings of Orel. For them to still have their Gentry status in the 16th and 17th Century is proof they came from an Irish Chieftain line and by following the demands of the English Tudor Monarchs my family would have been favored over their Irish Catholic cousins so it is likely my ancestors were a protestant Sept of the O'Kelly of North Bregia who are found on the map due east or those found Northeast of Tara and are distinct from the O'Kelly of Bregia located along the border of Kildare. 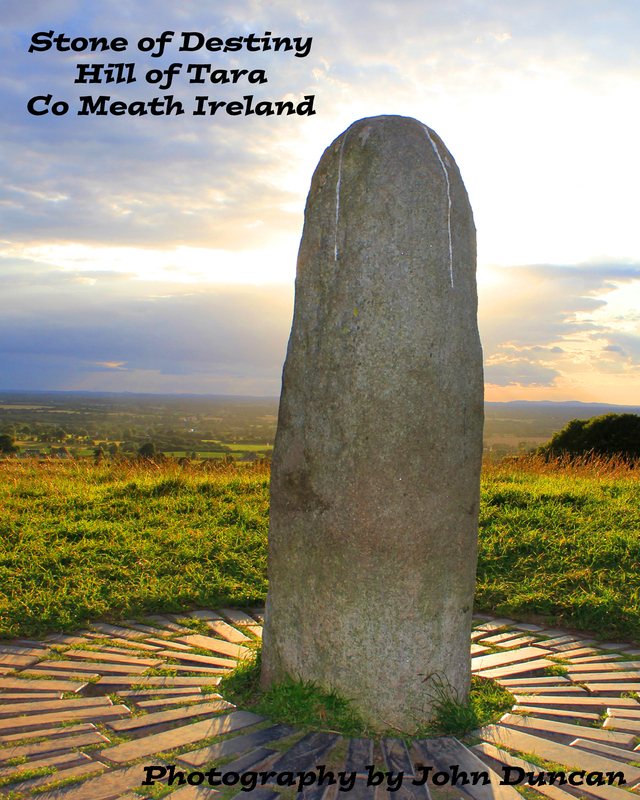 Maybe the once greatness of my ancestors living in Co Meath Ireland near Kells and also in Co Monaghan near Carrickmacross and near Castle Leslie in Glaslough can be discovered as there are likely Irish Kelly families who are my cousins and they might not know they came from a line of O'Kelley who were a thousand years ago great "Princes of Tara" and likely cousins of the 2nd Earl of Tyrone Hugh "O'Kelley" O Neill but it is also possible they know much more about my family's story than I know and they can tell us so much more. 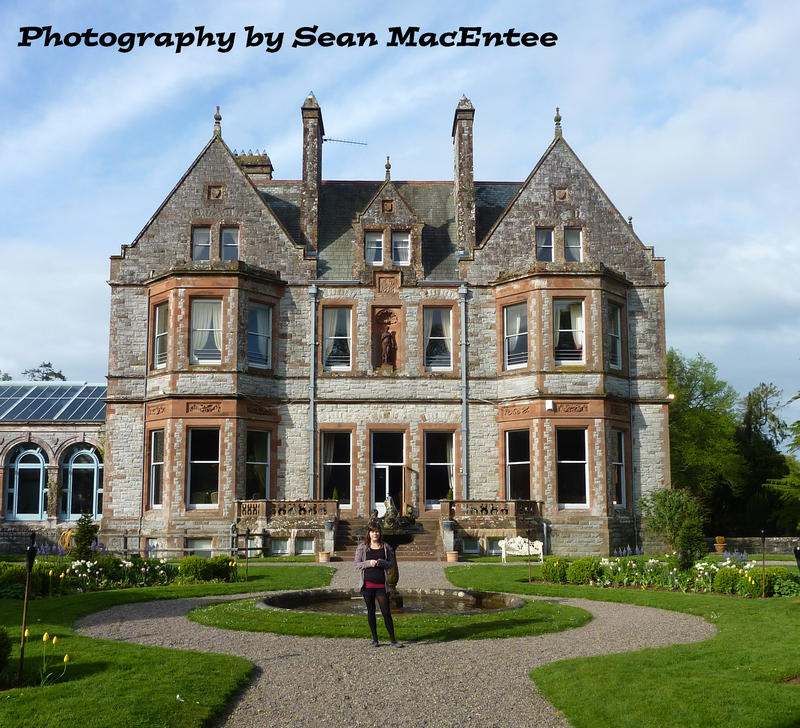 For those who always dreamed of taking a trip to Ireland but didn't know where to go, you have an amazing opportunity to stay in Castle Leslie and walk a few miles away over the lands our ancestors once walked five centuries ago. Please click on the Email Us link to aid our discovery. I hope you enjoy your visit. 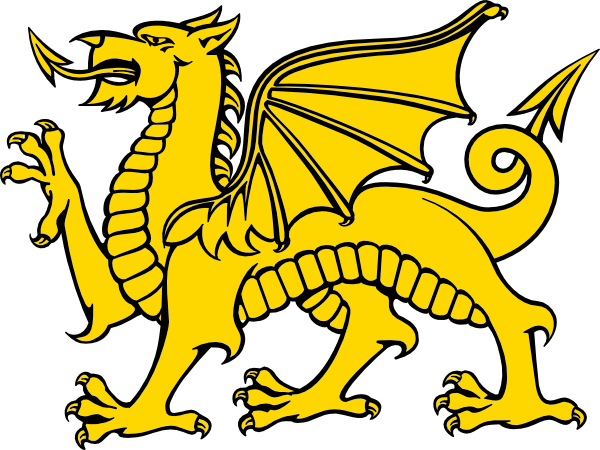 Click on my family Coat of Arms to begin your journey back in time. Fayetteville, AR 72704 This website would not be possible without the aid of many researchers who came before me, much of the information found on this web site was provided to me by my Aunt Kathleen O’Kelley and originates from her independent research. Some has it's source in the 1966 book by J Fred O'Kelly, titled "Some Descendants and Ancestral Kin of James Stamps O'Kelley and Lucy Woodruff England"; the 1969 book by Alethea Jane Macon, Four O’Kelley Sons and Some of their Descendants – Allied Families; Harold O'Kelley's 1985 book "Four Families Through Georgia", "The Life of Rev James O'Kelly" by W E MacClenny, some came from Ancestry.com, Fold3.com, on line books, US Census records, Newspapers, or other independent sources. 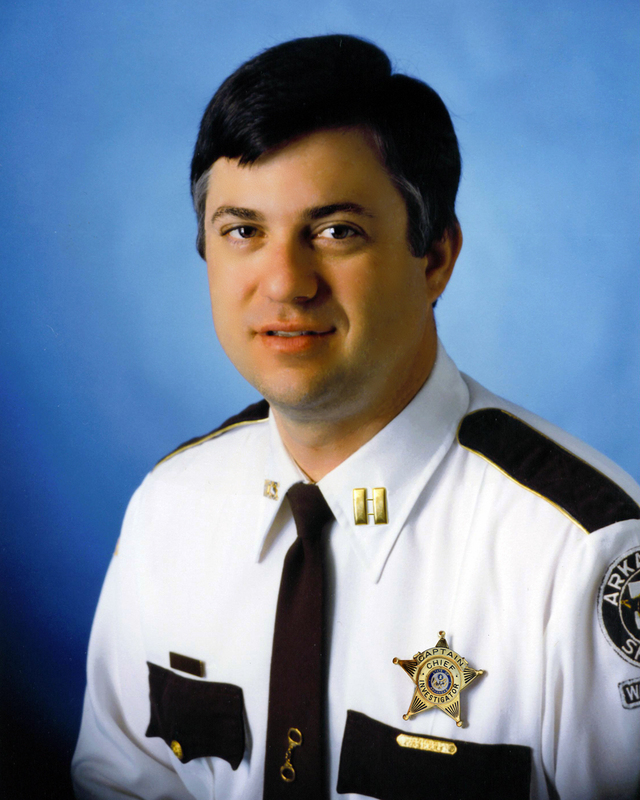 James O’Kelley and Anna Dean source documentation originates from five pages created by Dr. Thomas Katlet O’Kelley, and the contents of some of those pages has been kindly shared by his great-great granddaughter, Judith (Knowles) Ries. Judith is a published author of the book Ed O’Kelley: The Man Who Murdered Jesse James’ Murderer and A Patchwork of Memories, a Knowles/O’Kelley genealogy. 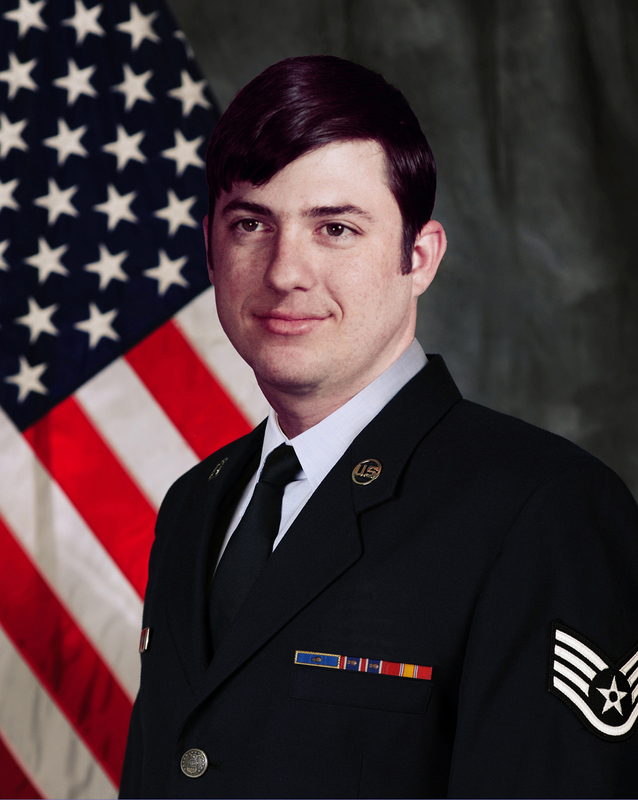 If you use any of Dr. O’Kelley’s data, please credit Judith Ries. You may use any photograph or scan found on this website for non commercial purposes. This website has ran continuously on the Internet since 1 May 1997. It is perhaps the oldest and most conclusive O'Kelley source on the net.